Gearbox wants you to believe that they've dusted off an apocryphal pre-cursor to their hit sci-fi first-person shooter series. Okay, guys. Sure thing. 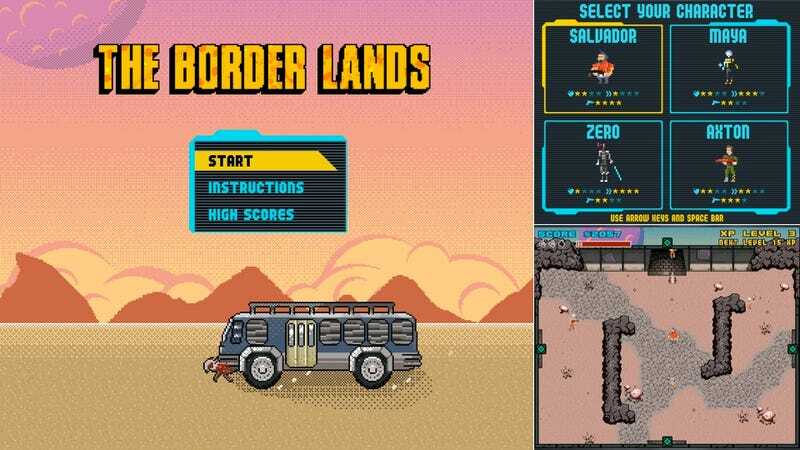 Nevertheless, The Border Lands is terrific fun, letting you play pixellated versions of Borderlands 2's four main characters across multiple stages. The retro-styled browser game harbors the same "ooh, new gun!" addictiveness as the big-boy versions of the 2K Games-published franchise. You can sample right The Border Lands here. But, c'mon, Gearbox. Do the right thing and release this as a mobile app, huh? It's what everybody else does with their old games, anyway.